A couple of weeks ago, my colleague Dimitry Anselme and I were facilitating workshops for participants from Afev—an organization of civic volunteers—in Marseille and Paris. We talked about civic efficacy—the belief that you can make a difference as a citizen, that you have the skills, abilities, and confidence to do something and to make an impact. One of the tricky things about civic efficacy is that a lack of it can inspire a lack of it. But, the flip side is a feeling of civic efficacy can inspire greater confidence. It’s like Newton’s Law—of civics. At a moment when things feel uncertain and overwhelming, paralysis sometimes kicks in, as does a feeling that nothing I can do matters. This is a time to remember the importance of doing one thing at a time, building confidence, taking that step, building on the work of others. It does not matter which thing you focus on, take that step in an affirmative direction. While in France, we talked with the Afev volunteers about those periods you study in school or learn about—like the US Civil Rights Movement, the fall of the Berlin wall, and the struggle against apartheid. In the study of those events what stands out is that they were not inevitable, nor the work of one individual or institution or one key moment. They required many individuals and communities and, indeed, institutions, to believe that they could make a positive difference; that they could play a role in reaching up and bending the arc of history toward justice. It doesn’t bend itself. 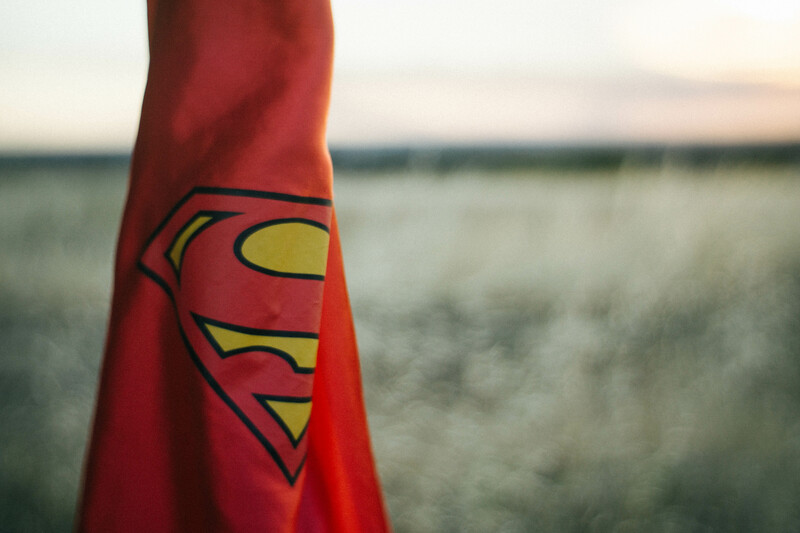 For all of you who think you missed your moment, it’s time to put your cape on. What does this mean? Last summer in Chicago at a convening of educators from around the world, we asked the participants to think about their superpower as an educator and then we had them make capes. It was a fun moment, a little silly, but also an opportunity for reflection about that special thing you do that makes a difference. It’s also a reminder that superheroes don’t fly in and save us. In France, we asked the Afev volunteers to consider their superpowers and to design their capes in terms of their work as citizens. One talked about the “M” he’d wear that captured being “métis”–a person of North African and French ancestry. His superpower was the ability to engage multiple communities, to be sensitive to the “in-between” spaces. Others talked about their ability to listen, to think critically, and to actively represent and participate in a community that is marginalized. What is your civic superpower and how will you use it? This is not about risk. It’s about shining a light on those things that strengthen communities, sustain democracy, and protect civil society. It's about making us, the communities, countries, and world in which we live more humane, compassionate, safe, and just. So, here’s to some of the people who put their capes on in 2016. Sean Pettis and the Corrymeela Community in Northern Ireland for providing a safe space for educators and adolescents to face the violent past and imagine a shared future. Dylan Wray, Roy Hellenberg, and Shikaya in South Africa who are supporting educators and administrators to address the legacies of apartheid, to recognize the fragility of South Africa’s democracy, and create classrooms and schools that are inclusive, safe, reflective, and compassionate. Afev and their volunteers across France who are learning about contemporary racism and antisemitism so that they can stand up and speak out against hatred. The students at Overton High School in Memphis who created Students Uniting Memphis and who are developing a memorial garden at the site of Ell Persons' lynching. They are confronting America’s violent racist past and forging a better future. The teacher in a Chicago Facing History partner school, who left messages on his bulletin board, assuring students their identities are safe in the wake of the election. The goal was to make all students feel welcome in the classroom, regardless of gender, religion, or ethnicity. The students of the Facing History Council at New Haven Academy who led a school-wide project on the global refugee crisis. They learned about the issues, took part in facilitation training, led workshops for their peers, and then held a fundraiser for a local refugee resettlement organization. The educators who leaned into the discomfort about confronting race in their classrooms by taking the Facing Ferguson workshops and figuring out how to honestly engage their students in difficult conversations. Greendot’s Animo Jackie Robinson Charter High School in Los Angeles and its principal Kristin Botello for creating a vibrant, safe, engaging space where students can achieve academically and develop their civic voices. Check out our lesson outline, "Taking a Stand: Models of Civic Participation," to help students reflect on several episodes in history when individuals chose to take stand and to also consider how these examples relate to their own lives.